Still think it should’ve been named Divinity: Second Sin. Few games capture the flavor of classic tabletop roleplaying games quite like Divinity: Original Sin 2. 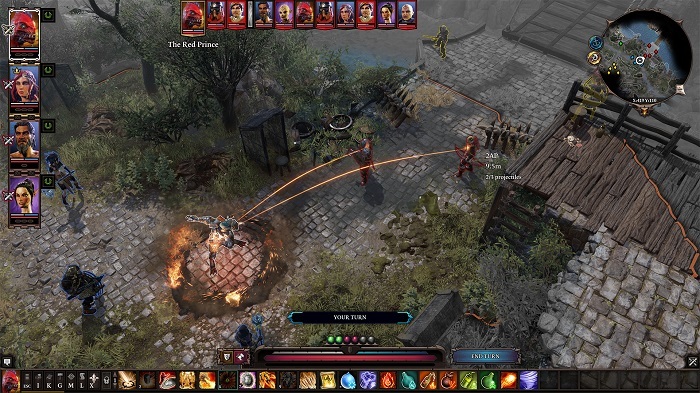 The series has created its own Dungeons & Dragons by allowing players to explore an expansive world with tons and tons of dialogue choices, questlines, and power interactions. There are dozens of hours in the main story alone, and in a single playthrough you’ll miss a whole heap of sidequests and hidden treasures. For those unfortunate enough to have no friends who know how to run a successful pen and paper tabletop campaign, Divinity: Original Sin 2 is an excellent substitute. There’s no way this room isn’t trapped somehow. Divinity: Original Sin 2 feels a great deal like its predecessor, Divinity: Original Sin. Many of the same spells and abilities return with only minor adjustments. While returning schools of magic remain mostly unchanged, two entirely new styles of magic debut in Original Sin 2: Polymorph and Summoning. Polymorph grants the user special animal features like bull horns and spider legs, and is an excellent way to round out a traditional melee fighter. Summoning reflects a broader change to elemental magic schools like Hydrosophist and Aerothurge, which no longer include basic Summon Elemental spells. 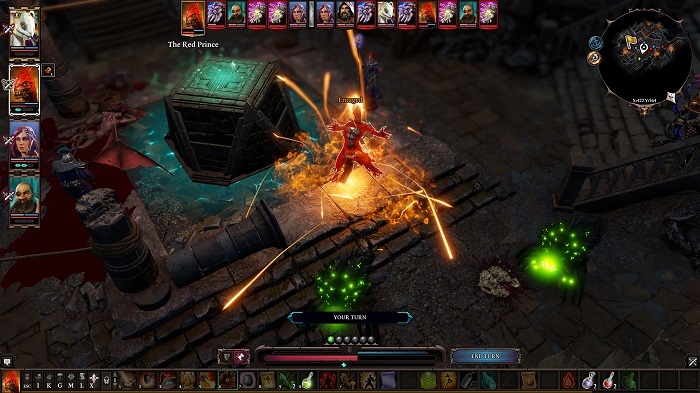 Those who have grown used to the rhythm of spellcasting in Divinity: Original Sin should take caution. Spell failure is now tied to the opponent’s armor, which resists physical or magical statuses. This armor must be chipped away at before dealing damage to their health or dealing crippling status effects like stunned or frozen. Physical armor resists statuses like blinded or knocked down, while magical armor resists statuses like poisoned or burned. Stripping this armor down with raw damage is the only way to defeat most opponents, so opening attacks must focus on getting the biggest bang for your buck. The special effects are where the real magic happens. Armor up for a rant over a minor complaint. I will be the first to admit that the desperate desire for a ‘perfect build’ hinders my enjoyment of many games. As much as I enjoy a variety of playstyles, I can’t help but love it when my powers come together in a godly show of strength. In Mass Effect: Andromeda, for example, my powers and equipment annihilated enemies so thoroughly that the combat system lost almost all of its charm. There is no shame in admitting that games can become a power fantasy, which is part of why the armor system in Divinity: Original Sin 2 is so frustrating. Physical and magical damage chips away at two separate armor values. Pairing up both wizards and rogues on your team effectively splits your damage in half when focusing down a single enemy. I would much rather have a team of varied skills and abilities, but it’s just too inefficient for me to justify. Sure, there are a select few encounters where physical or magical damage is better than the other. Silent Monks and Source Hounds, enemies in the first explorable area of the game, have no physical and no magical armor respectively. Most enemies, however, have a hefty chunk of both to whittle down. Lead your own campaign or follow in someone else’s footsteps. One of the most highly anticipated features of Divinity: Original Sin 2 is the Game Master Mode. 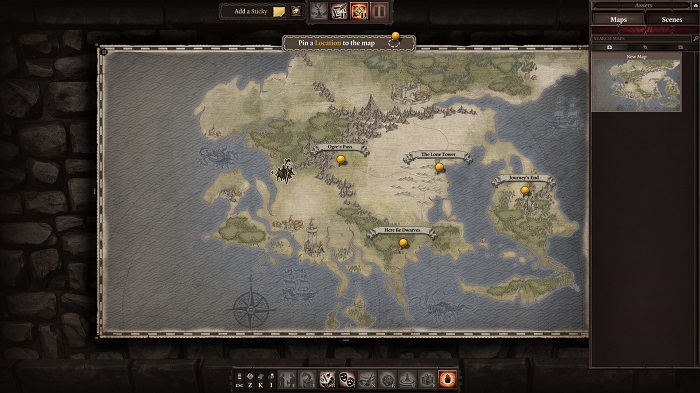 This feature allows players to build their own campaign using the game’s existing assets. There are plenty of characters to use as templates for almost any kind of high fantasy setting, and pre-constructed environments to house them. Game Masters can leave plenty of options for players to approach an encounter—maybe too many. The biggest problem with GM Mode is that there are so many tools at your disposal that it becomes overwhelming to accomplish anything. 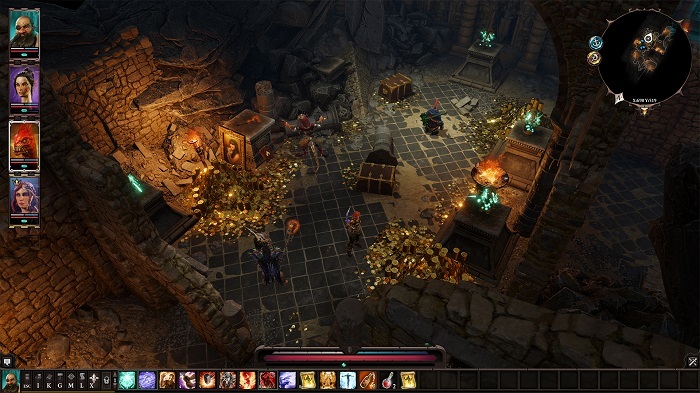 There’s a skill to creating your own campaign in Divinity: Original Sin 2 that may test the patience of even the most experienced pen and paper Dungeon Masters. Have I ever mentioned that I have a passion for cartography? Humor as dry as the desert’s sands. Unlike its self-deprecating predecessor, Divinity: Original Sin 2 asks players to treat its storyline with a straight face. While it’s easier to get invested in the main campaign right off the bat, there was a certain charm to quests that asked you to find a pair of undergarments for a talking dog to sniff out. This type of humor may seem juvenile (and you’re right, it is). But it’s also my favorite kind of shenaniganry in traditional tabletop campaigns. While Divinity: Original Sin 2 refines the graphics and mechanics of Divinity: Original Sin, it struggles to differentiate itself from its predecessor. 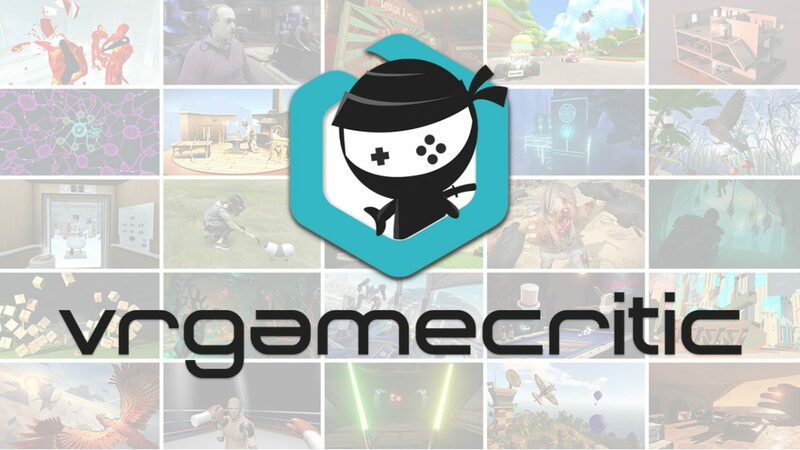 That isn’t necessarily a bad thing; I won’t knock the game for giving players more of what they want. But if you’re the kind of person who thinks Destiny 2 looks all too similar to Destiny then you may want to consider sticking to the first game. 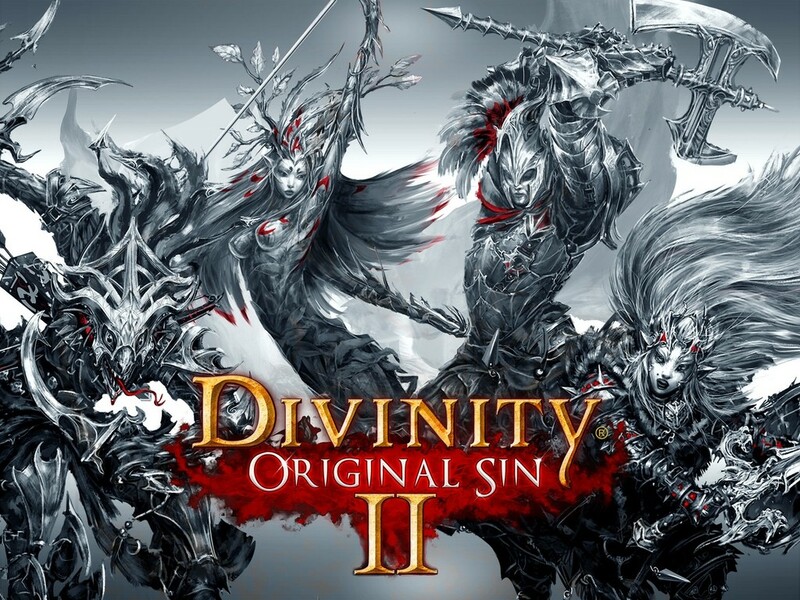 For those who are just looking for another ride in Divinity‘s fantastic world, Original Sin 2 is an easy recommendation. Full disclosure: This review is based on a Steam key of Divinity: Original Sin 2 given to HeyPoorPlayer by the publisher.